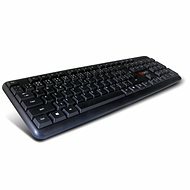 The C-TECH KB-102M keyboard comes in a practical, slim design that saves space on your desk. It fits your office and home computer. Despite its compact design, it offers eleven multimedia keys. The keypad is equipped with stroke-limiting technology with a central button lift. 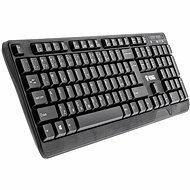 The C-TECH KB-102M slim black keyboard comes with Czech and Slovak key layout. The keyboard connects to a USB port. 44.6 cm (446 mm) Done! 2.55 cm (25.5 mm) Done! For shipping to other EU countries visit this page C-TECH KB-102M USB Slim Black. Für Versand nach Deutschland, besuchen Sie bitte C-TECH KB-102M USB Slim schwarz. Chcete doručit zboží do Česka? Prohlédněte si C-TECH KB-102M USB slim černá. Chcete doručiť tovar na Slovensko? Prezrite si C-TECH KB-102M USB slim čierna. Für Versand nach Österreich, besuchen Sie bitte C-TECH KB-102M USB Slim schwarz.